Welcome to the MAXOLINE website, welcome to MAXOLINE lubricating oil company, the lubricants specialists from the Netherlands. Here you will find information about our business background, our mission, the company the address details, etc. In addition you will find information about our Product Line and the individual Product Data Sheets of our products. In case of need you can print these Product Data Sheets, but you may also consider to load these down on to your PC for future reference. For latest SDS (Material Safety Data Sheets) please feel free to ask. You can leave your request behind at this website. We highly welcome any critics or comments for further improvements. Do you know these New Maxoline products already? 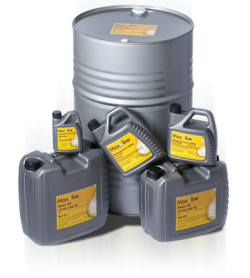 MAXOLINE Regular Oil SAE 60, also known as Commercial Motor Oil is a blend of HVI Base Oils. It is extremely resistant against aging. Suitable for general lubrication under mild conditions, such like bearings of pumping stations, circulating systems and for topping-up of certain classic cars engines. MAXOLINE Hydra Oil ZF 46 is a Zinc-Free EP hydraulic oil based on high quality Solvent Refined Base Oils and a special additive package. To be used for heavy duty hydraulic equipment, light-duty gearboxes, bearings and also for lubrication systems, general lubrication and vacuum pumps (NOT for turbines!). MAXOLINE Hydra Oil ZF 46 can be used in systems with silver parts. MAXOLINE Turbine Oil XT ISO VG 32 is a universal mineral turbine oil, based on specially selected and highly raffinated Group II base oils. Especially formulated to satisfy the demanding requirements of modern high output steam-, gas- and water turbines. Because of its composition is this turbine oil specially suitable for long service life. In addition to turbine applications is this oil also suitable for the lubricating of hydraulic systems, compressors, high-speed gears and certain bearings and other applications requiring high quality rust and oxidation inhibited oils which separate readily from water. MAXOLINE Motor Oil Multisynth Plus 10W40 SL/CF is a high grade Motor Oil, blended of mineral base oils and synthtetic base oils, fortified with a special EP additive package. A multifunctional, fuel economy motor oil for use in passenger cars and trucks, in both petrol and diesel engines, with or without turbo-charging.